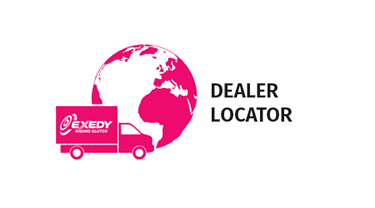 In 1995 EXEDY supplied carbon clutches to Ferrari for use in the pinnacle of motorsport, Formula One. 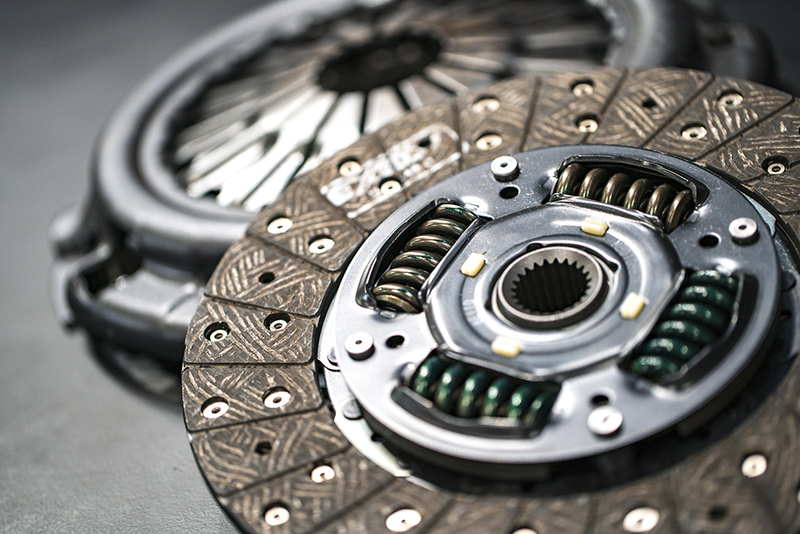 This same technology is now applied to carbon clutches developed by EXEDY for use in various driving conditions, providing an explosive shift feeling and dramatic improvement in engine response. 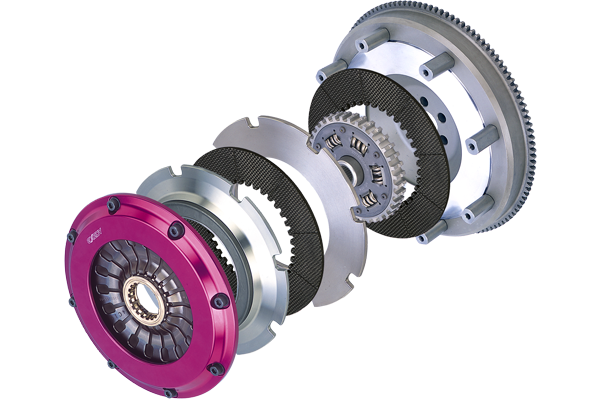 The EXEDY Carbon-D clutch is available as either a single plate (Carbon-D Single) or twin plate (Carbon-D Twin). 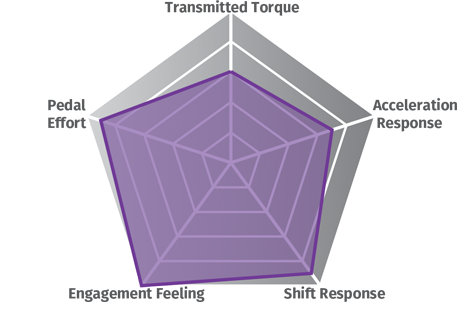 Carbon clutches offer excellent operational feel by reducing inertia. Unique damper design significantly reduces shock torque and gearbox rattle. 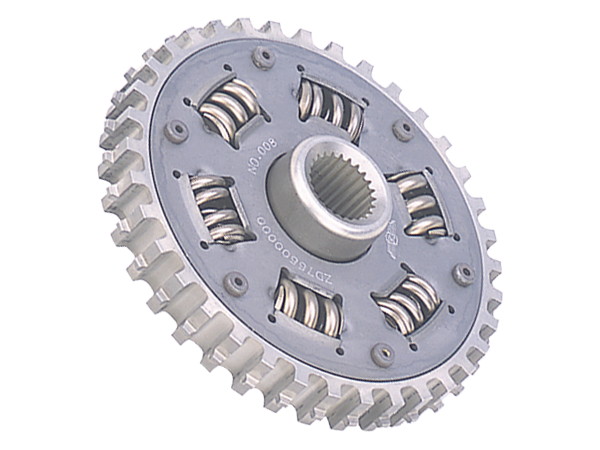 The highest possible performance with the same ease of use as the original equipment clutch. SX coating to the Pressure plate and Intermediate plate further increases stability and torque capacity. Two Stage Damper Technology, an Industry First! 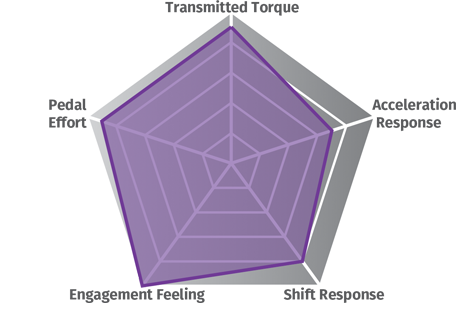 The conventional damper used in a sports clutch is designed to protect the transmission from shock torque caused by abrupt clutch engagement; it does little to absorb vibration. The Carbon-D is equipped with a unique damper that features two stages (a low load stage and a rapid acceleration stage) that is perfectly tuned for each vehicle type. The proper adjustment of both damper rigidity and hysteresis torque prevents gear noise in the low load stage while the new high rigid spring ensures high torque operation in the rapid acceleration stage. Furthermore the use of a damper-type center hub provides unbeatable usability. The CARBON-D is a clutch system designed for quiet and comfortable driving because it incorporates the driver’s need for an easily operated clutch engagement point without negatively affecting the quick engagement response and the carbon-engaged feeling. 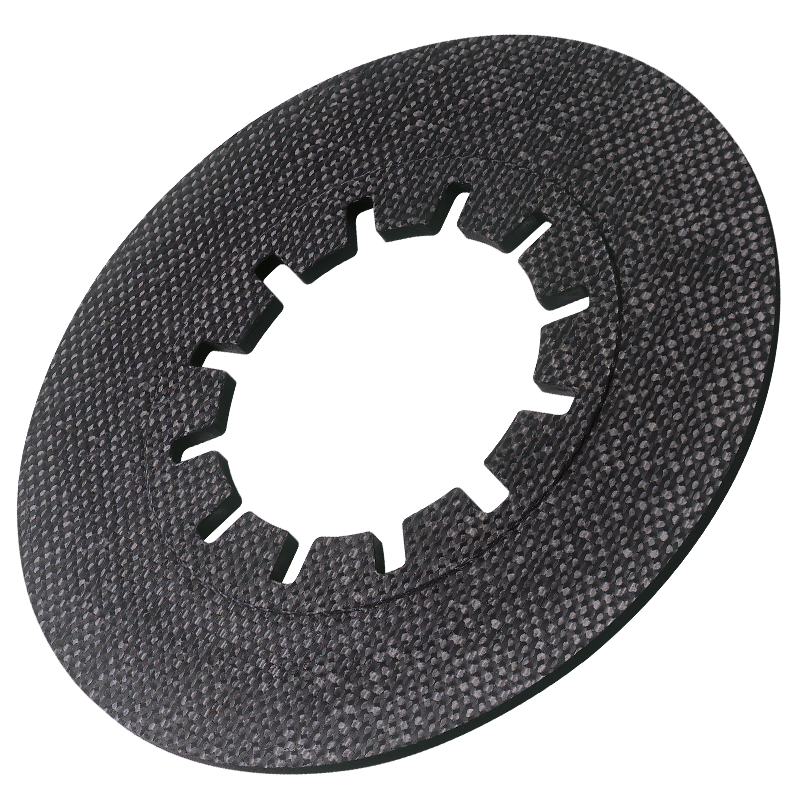 The properties of an EXEDY carbon clutch disc are tested to last twice as long as an equivalent metal clutch disc. Carbon friction material is 1/3 the weight of its metal equivalent. Carbon materials are baked at more than 2000°C, which allows the carbon material to dissipate heat far better than conventional metallic material. The heat expansion rate is 1/20th of iron therefore eliminating a change in clutch feel that may happen due to distortion caused by expansion during driving. 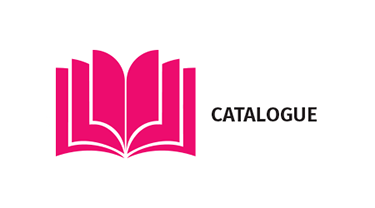 Carbon material not only has a high heat resistance but also a "non-stick" characteristic that eliminates disengagement problems. Due to the properties of EXEDY Carbon material, as the friction material surface temperature rises so does the friction coefficiency and MAX torque capacity. 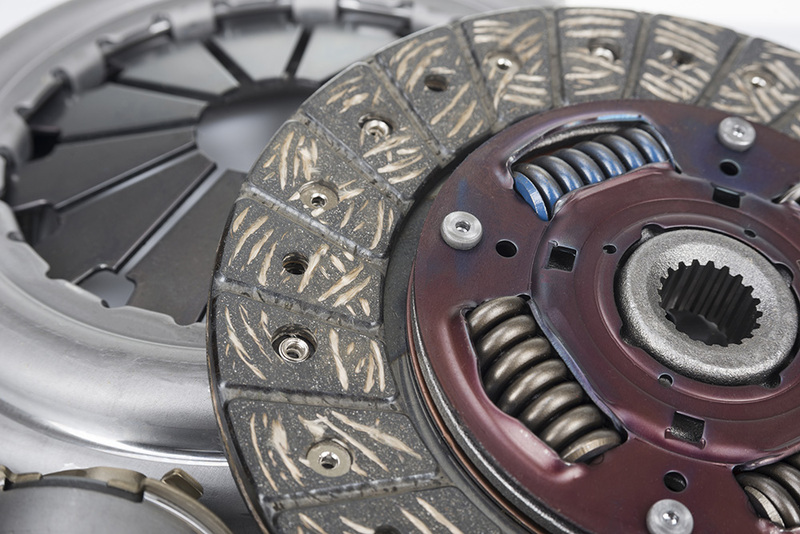 At lower temperatures the vehicle will be as comfortable to drive as the OE clutch. At higher temperatures, under aggressive driving conditions, the clutch will have the shift performance of a motorsport vehicle.